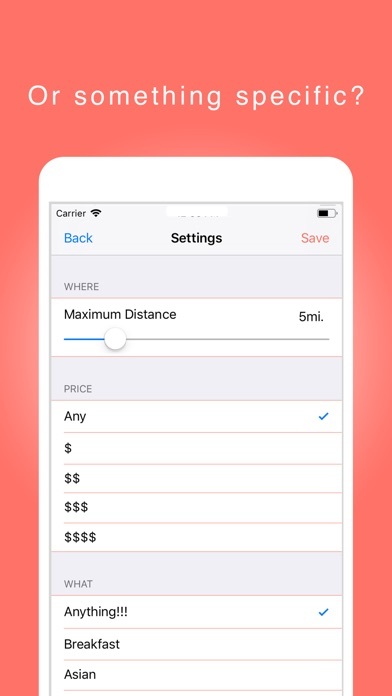 Fast, simple, convenient, and decisive. Gone are the days where you can't seem to figure out where to eat. 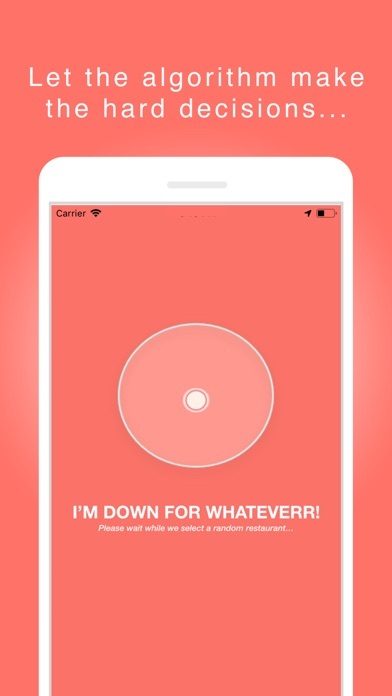 Sure, your friends and significant other might say they're down for "whatever", but you already know that you're going to end up at the local pizza place down the street. Yep...The one you've already been to five times this week. And if you're traveling to a new city, do you really want to waste your time on the search page and less on the sights? 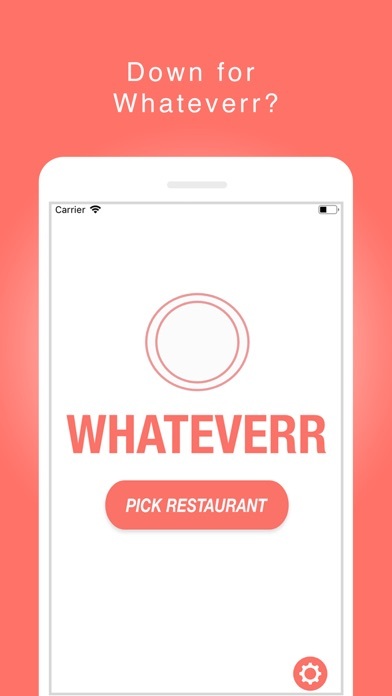 With Whateverr, spend your time focusing less on where to eat and more on when to eat. 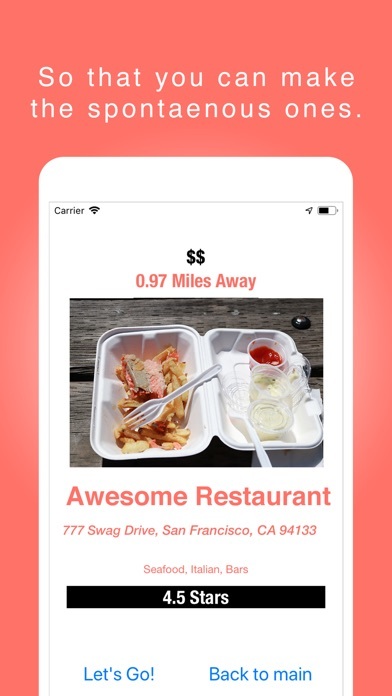 Using a random algorithm, the app will select from a wide range of restaurants around you, so that you're almost always guaranteed to try something new. Life is supposed to be spontaneous. Are you down for Whateverr?